Ricky Whittle Cast in Starz Adaptation of ‘American Gods’!!! If you’re a Neil Gaiman fan, you have your own ideas of who should be cast in the upcoming series from Starz based on Gaiman’s ‘American Gods‘, now we get to see who showrunners have picked for the lead character, Shadow Moon. Starz CEO Chris Albrecht, executive producers, writers and showrunners Bryan Fuller and Michael Green and director David Slade have conducted an incredibly lengthy casting search British actor Ricky Whittle (‘Hollyoaks‘) has been cast as Shadow. 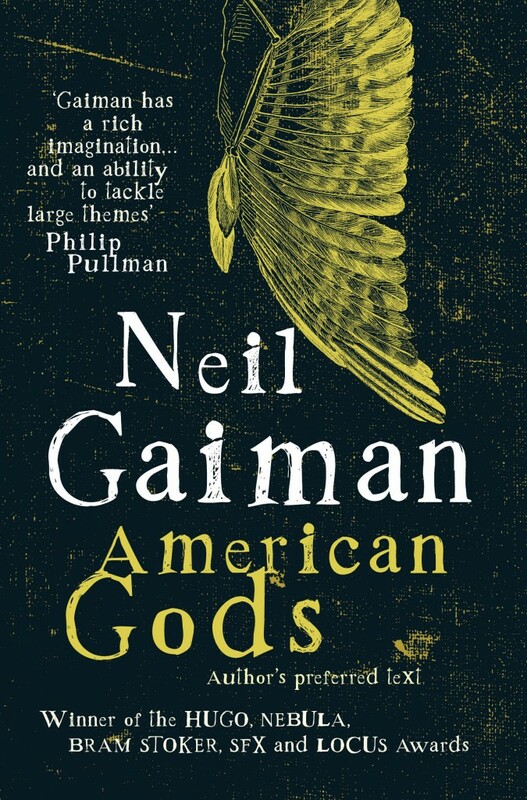 The process to find the right Shadow was determined by Gaiman’s description of the unique heritage and look of the character on the pages of ‘American Gods‘. The series is ready to begin shooting in April now that they have their lead cast, there are a number of scripts already written and ready to go into production. ‘American Gods‘ is a gripping story that grabs you right from the start. The plot posits a war brewing between old and new gods: the traditional gods of mythological roots from around the world steadily losing believers to an upstart pantheon of gods reflecting society’s modern love of money, technology, media, celebrity and drugs. Its protagonist, Shadow Moon (Whittle), is an ex-con who becomes bodyguard and traveling partner to Mr. Wednesday, a conman but in reality one of the older gods, on a cross-country mission to gather his forces in preparation to battle the new deities. Ian McShane Has Joined Starz’s ‘American Gods’ As Mr. Wednesday!!! Neil Gaiman’s ‘American Gods’ Brings On David Slade!!! Emily Browning Joins Starz’s ‘American Gods’ Adaptation!!! This entry was posted on Thursday, January 28th, 2016 at 2:48 pm	and is filed under Books, Comics, News, Television. You can follow any responses to this entry through the RSS 2.0 feed. You can skip to the end and leave a response. Pinging is currently not allowed. « Get Your First Peek At Dreamworks’ ‘Trolls’ Here!!!! I look and I see white eveywhere. White walls, white floors and a lot of white people. The teachers do not know , I have no idea of anything they are talking about. I do not want to listen to anyone especially the teachers. They are giving homeworks and expecting me to do the problems on my own. I have never done homework in my life. I go to the bathroom and look in the mirror and say " this is not MIcheal Oher."